Now that I’ve written a draft and I have a quiet place to write and have adapted to family life, I am more open to other forms of storytelling. Next month, I’ll audition for a play. Later this summer, I’ll be in residency at the National Hispanic Cultural Center as a fellow through the Institute for Creativity, Consciousness and Community, to work on a one-woman show, a series of monologues based on the lives of the elders in the Atrisco neighborhood where I live. But the project I am most jazzed about right now is the short film I am producing and directing about Frankie, a trainee in Valle Encantado’s agriculture program. Frankie is a beautiful kid. He’s 18 and charismatic with an easy smile and big laugh. He was raised by a single mom. He dropped out of high school. He’s been in trouble. He sometimes wears pants so baggy he has to hold them up with one hand while weeding lettuce beds with the other. He has the word ‘Burque tattooed on his forearm. He was born and raised in Atrisco. For the first time in his life, Frankie has someplace he wants to be every morning—farming alongside his brother-in-law at one of Valle Encantado’s four growth sites. Frankie was going to tell the Kickstarter world that Valle Encantado needs a well and fence to expand our organic farm from one to two acres. He was going to tell that audience about his dream, to “maybe set some kind of record, be the youngest farmer in New Mexico,” and invite them to invest in his dream by donating to Valle Encantado’s campaign to put a well and a fence at our newest growth site, a tract of land on Five Points Road, donated by the Center for Action and Contemplation. 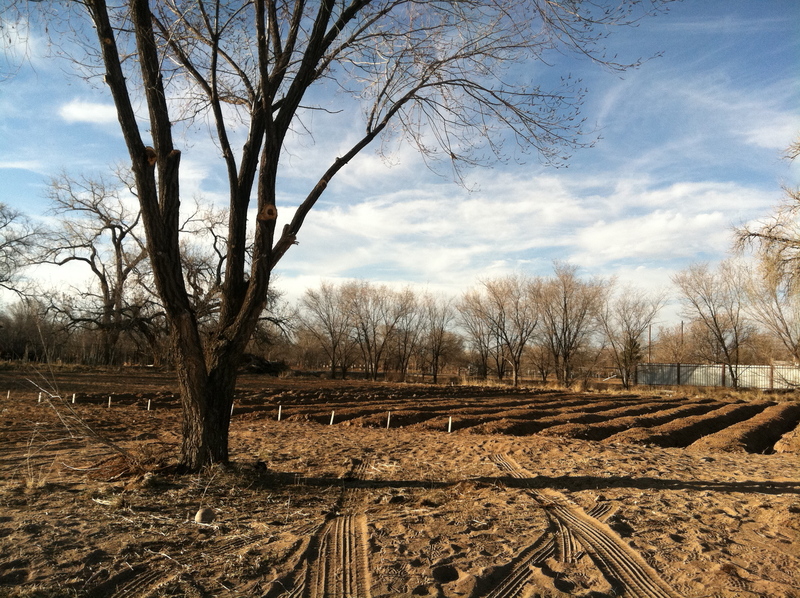 The well and fence will enable Frankie and Valle Encantado’s farm manager to grow organic produce at the new site. 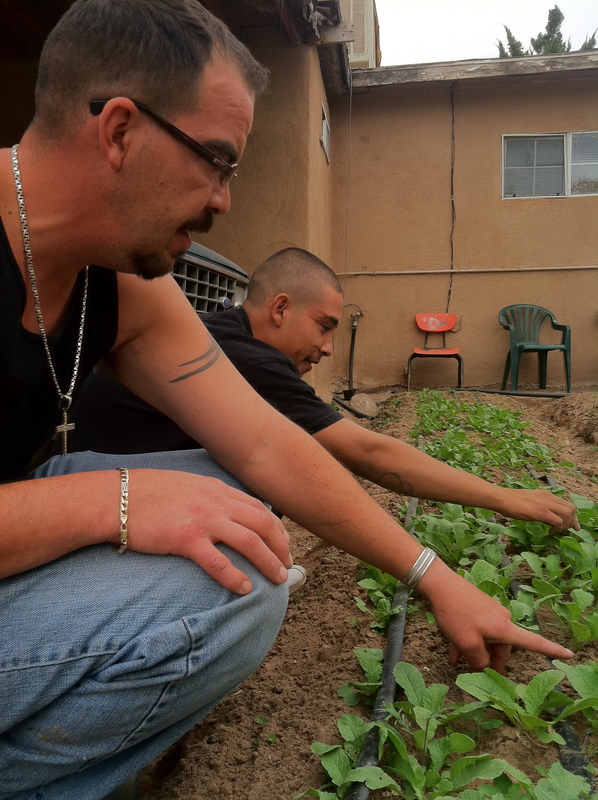 The vegetables harvested at Five Points will yield enough to offer full time employment to Frankie. Kickstarter says this project “isn’t the right fit” for them. That hurt. But, as I’ve learned through love, a rejection just frees us up for the one that’s really right. We launch “Frankie’s Well” one week from tomorrow, on Wednesday, June 8. Catch the buzz running up to our launch! “Like” Valle Encantado on Facebook. Subscribe to the Valle Encantado blog. You’ll be the first on June 8 to see the video and learn how to support Frankie and Valle Encantado’s work in Atrisco. I am honored to share this story. You can help shape it.